The Jaguar F-TYPE is a true Jaguar sports car – available in coupe and convertible body styles. Each has its own unique character, but both are powerful and agile, offer exhilarating performance, astounding handling and an unrivaled driver-focused experience. Rear-wheel drive or all-wheel drive and manual or automatic transmissions are available depending upon your choice of engine. All F-TYPE have powerful engines delivering high levels of torque at all engine speeds. The F-TYPE all have responsive supercharged engines, lightweight aluminum construction, and sophisticated suspension. The finely tuned double wishbone suspension means precise control. It’s the perfect complement to the high-performance engine. With 6-piston front and 4-piston rear brake calipers and exclusive 20-inch forged alloy wheels, the optional Carbon Ceramic Matrix Braking system is the most powerfully performing braking system ever delivered with a Jaguar. 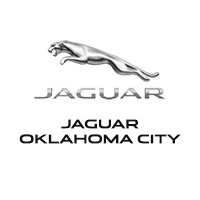 Visit your Jaguar F-TYPE dealership at Jaguar Oklahoma City or view models below. 2020 Jaguar F-TYPE SVR Price includes dealer added accessories.